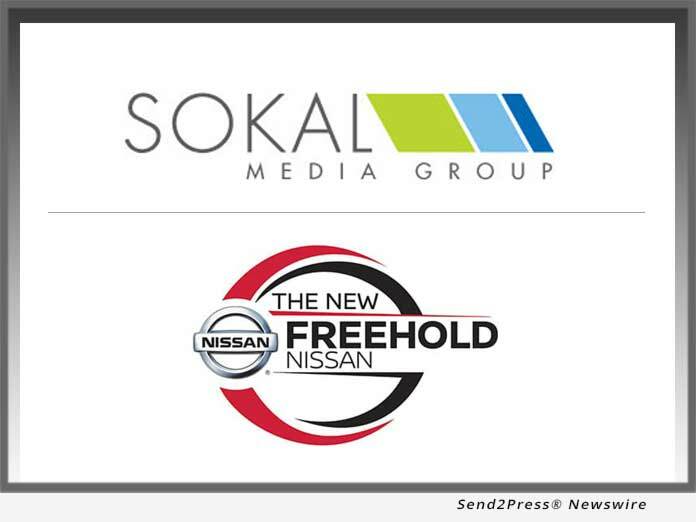 Auto dealer marketing firm, Sokal Media Group, signs as agency of record for Freehold Nissan. By mid-November 2018, Sokal Media Group will begin launching new websites for the store, create new advertising campaigns including digital and traditional ads, and assist in many other areas of dealership business. (RALEIGH, N.C.) -- NEWS: RALEIGH, N.C., Nov. 6, 2018 (SEND2PRESS NEWSWIRE) -- Auto dealer marketing firm, Sokal Media Group, signs as agency of record for Freehold Nissan. By mid-November 2018, Sokal Media Group will begin launching new websites for the store, create new advertising campaigns including digital and traditional ads, and assist in many other areas of dealership business.